Purpose: To create a publishing solution for doctoral scholars to publish their dissertation study results and scholarly research. 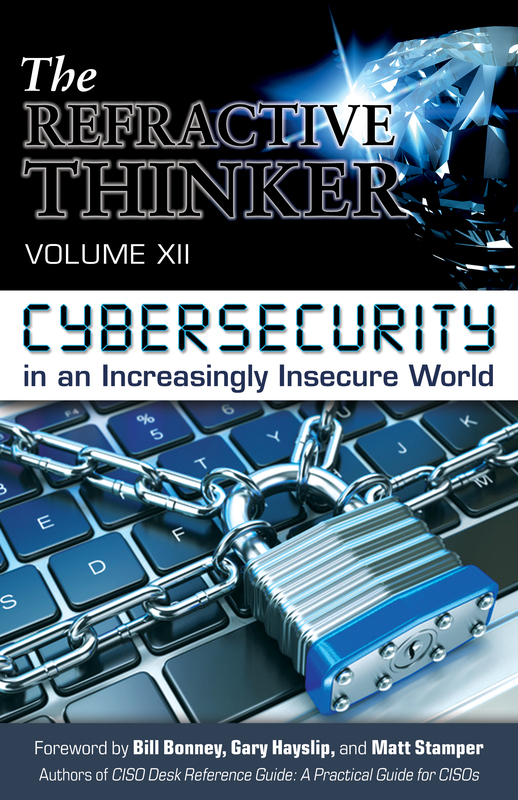 Join Bill Bonney, Matt Stamper, and Gary Hayslip and contributing scholars for this next volume in the 15 time award winning series as they discuss current research regarding the challenges of the world of cybersecurity and its effects in and on the marketplace. This volume contains research shaping the conversation regarding what the future may hold to protect businesses and consumers regarding the perils of digital technology. As you read the pages ahead, we ask you to ask yourself: “What should I be doing to make a safer cyber world?” This is critically important if we’re to reap the benefits promised in this new digital age.